Whether he ever knew of Joseph Campbell‘s work or not, when James Watson wrote “The Double Helix,” he was as tapped in to the template of the Hero’s Journey as George Lucas when he created “Star Wars.” In this guest essay, my Benshi editor of the past year, Steph Yin, breaks down “The Double Helix,” using both the Logline Maker of our Connection Storymaker app, as well as the Story Cycle found in books like “Winning the Story Wars.” I read “The Double Helix” as an undergraduate, a long time ago, yet it still sticks with me. There’s a reason for that, as Steph demonstrates here. THE DOUBLE HELIX. This classic tale of scientific discovery, like so many other timeless stories, fits snugly into the Hero’s Journey. Steph Yin graduated from Brown University last year and has been working part-time with me since then, running the Benshi and helping with my social media efforts. She’s a superstar who is headed to NYU in a couple weeks to begin working on her master’s degree in science journalism with this year’s Pulitzer Prize winner Dan Fagin. In January she helped me run the version of our Connection Storymaker Workshop at the SICB meeting in Austin, which gave us a chance to have in-depth conversations about the elements in our Connection Storymaker app. Out of those chats came the realization that James Watson’s “The Double Helix” is a classic tale of a singular protagonist on a journey in search of a golden chalice in which he overcomes many obstacles to eventually succeed. 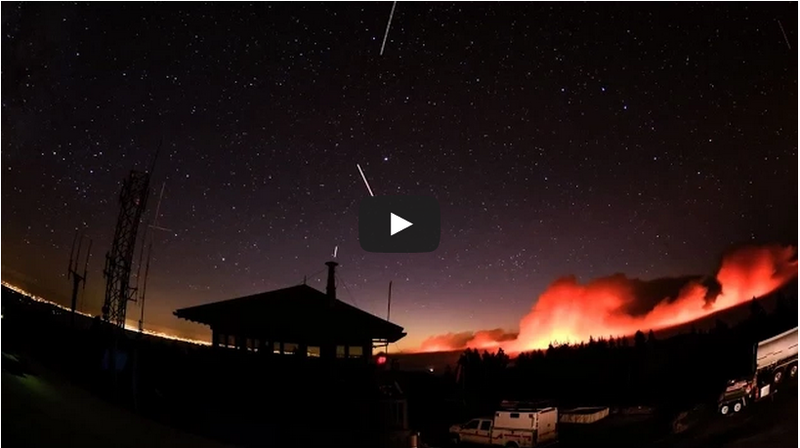 More importantly, it’s one of the best-told stories from the world of science ever. We both wondered how closely Watson’s tale matches the template of the Hero’s Journey as originally described by Joseph Campbell in his 1949 foundational work, “Hero with a Thousand Faces.” Turns out it’s amazingly close, in addition to embodying a number of other great aspects of effective broad communication. The following is Steph’s analysis of “The Double Helix” from this perspective. When Randy suggested that I read “The Double Helix” and investigate his suspicion that the story fit the classic Hero’s Journey model, I took it as an opportunity to grow two flowers with one seed. I had been meaning to read “The Double Helix” for ages, and had also just successfully used the logline maker in a serious way for the first time. Though I had been working with Randy for nearly half a year, I could never fully appreciate the logline maker; some part of it always felt a bit contrived. After this recent success, I was hungry to apply the Hero’s Journey in different ways and flesh out my understanding of its potential. Up until that point, the Storymaker’s logline template, based on the Hero’s Journey, had met with varying levels of success in Randy’s Connection Storymaker Workshops. While people intuitively grasped the “ABT” (and, but, therefore) storytelling template, they had a little more trouble trusting the Hero’s Journey template. Randy believed this happened in part because once people generally settled on the story they wanted to tell, they were reluctant to modify it. While most stories by nature fit the ABT model easily, the Hero’s Journey takes a little more finagling. So when asked to use it as a template, people tend to find the exercise stifling and a bit forced. The ABT is a practical and versatile tool. It can tell the story of an environmental hero who saves a watershed, explain how subatomic particles collide, or interpret a Mars rover discovery. The logline is much more human-centric—using more theatrical terms like “protagonist” and “ordinary world.” As a result it can seem not just distant, but downright flaky, even, to research scientists. Randy and I decided that for scientists to grasp the potential relevance of the logline, we needed a strong example of how a story of scientific research could fit within its framework (cue “The Double Helix!”). 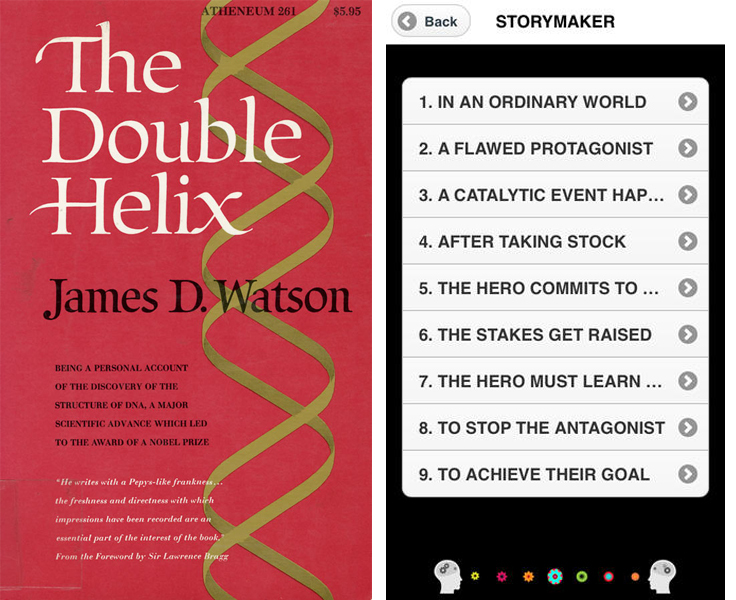 Reading “The Double Helix,” I was struck by the candid nature of Watson’s writing. He became immediately familiar to me, and this, in turn, made reading the book much more enjoyable—as if I were reading letters from a friend. Watson has all the trappings of a flawed protagonist: he is young, foolhardy, searching for fast shortcuts to fame and seduced by the world of the educated, European socialites around him. His flaws set him up to undergo the Hero’s Journey. In an ordinary world, a flawed protagonist: In an ordinary world, James Watson is a young scientist at the University of Chicago, primarily interested in studying birds, impatient for fame and looking for career shortcuts (in particular, avoiding taking any advanced chemistry, physics or math courses). Feeling unfulfilled by ornithology, he becomes curious about how genes work. He starts grad school at Indiana University, advised by microbiologist Salvador Luria. At this point, he is interested in studying DNA but still hoping to avoid learning any deep chemistry. The hero must learn the lesson, to stop the antagonist and achieve the goal: In order to find the structure of DNA before his competitors (Maurice Wilkins, Rosalind Franklin, Linus Pauling), Watson must learn to take his time, cultivate a deeper learning of chemistry and mathematics and resist his temptations to take shortcuts or rush to conclusions. For a while, Watson and Crick do their DNA research on the down-low while making progress on their primary research (Watson focused on the structure of tobacco mosaic virus). During this time, Watson devotes a great amount of time to learning chemistry—combing through scholarly journals and seminal books on the topic. “I used the dark and chilly days to learn more theoretical chemistry or to leaf through journals, hoping that possibly there existed a forgotten clue to DNA,” he writes. “The book I poked open the most was Francis’ copy of ‘The Nature of the Chemical Bond.’ Increasingly often, when Francis needed to look up a crucial bond length, it would turn up on the quarter bench of lab space that John [Kendrew] had given to me for experimental work.” Watson hones his X-ray photography skills, thinks about DNA late into his evenings and continually checks with reference books and colleagues to make sure his chemistry is correct. By the end of the book, Watson and Crick have successfully predicted the structure of DNA, and it seems Watson has matured both as a scientist (in his deeper grasp on chemistry and math, as well as in his patience and restraint) and person (who is perhaps no longer as taken with instant fame and the charms of the social elite). He ends the book in Paris, on a trip with his sister. In the last sentences of “The Double Helix,” he writes, “… now I was alone, looking at the long-haired girls near St. Germain des Prés and knowing they were not for me. 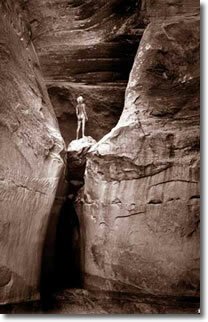 I was twenty-five and too old to be unusual.” On that note, our hero turned the page toward a new journey. Last year I scoffed at the biased mess that was “Gasland.” I wish “DamNation” had been out so I could have pointed to it to say this is how you present an issue you have strong opinions about without having the audience feel like they’re being conned. 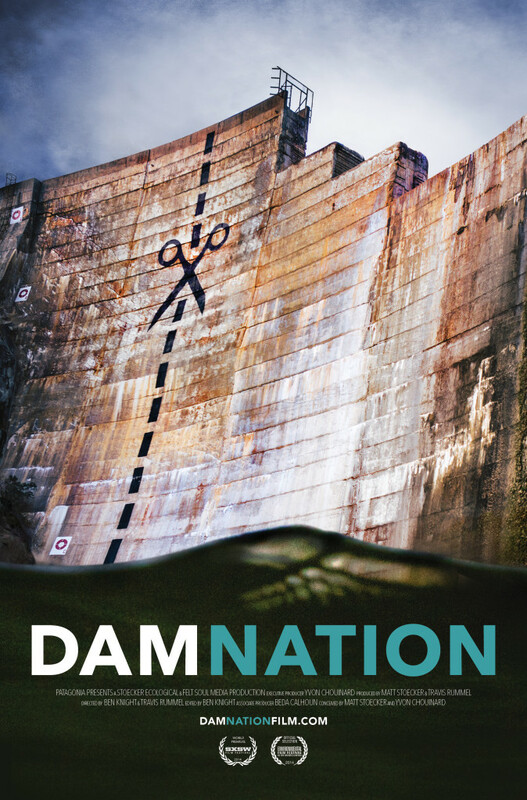 On Friday I’ll be moderating the panel discussion for a Los Angeles screening of “DamNation.” It’s a wonderful film filled with amazing sequences of inspiring protest efforts, beautiful scenery, and a heart-warming if sad jackpot of old movie footage of a trip down the Colorado River that will make you want to cry for the destruction dams have wrought. It’s great and a role model for how to make a solid environmental documentary that addresses a controversial issue in a level headed and dignified way. More movies like it are needed. DAM IT. The dam poster with the dam photo for the dam movie. It will be screened outdoors this Friday, August 8, at the L.A. Natural History Museum. I’ll be moderating the panel. I bet the filmmakers are tired of reading reviews that try every possible combination of play on the word “dam” — though that’s what they get for doing it with their titled, “DamNation.” Regardless, it’s really a great film and we’re going to have a fun event on Friday when it will be screened outdoors at the L.A. County Natural History Museum. The post-screening panel discussion will consist of the co-producer Matt Stoecker, Jamie King of California State Parks, and Karina Johnston, Director of Watershed Programs at the Bay Foundation, with me as the moderator. I really can’t say enough good things about this movie. It’s both nostalgic and contemporary. It’s hip and cool enough to feel like it’s for a younger demographic, yet dignified and even reverential at times to play to the older crowd. It has great visuals, but not at the expense of substance. It also captures the broad sweep of the past century to feel like the voice of the very best of the American environmental movement. Instead of a “you horrible people” tone, it has more of a, “what were we thinking?” approach. And actually, when you think of the ultimate voice behind it—Yvon Chouinard, the found of Patagonia (who sponsored it)—it all makes sense. But I do have to make one bitter side comment, which is that this is the sort of movie “Gasland” should have been. Dam removal is potentially just as polarizing and highly charged of a topic as fracking, and there are moments in the movie that tell of human impacts of dams far beyond anything fracking has caused so far. But where “Gasland” was divisive, polarizing and downright stoopid with Josh Fox‘s immediately conspiratorial voiceover (basically “the man is out to get you” voice), this film is humble, honest, respectful and fun.